Oconee Springs Park’s four new Legacy tiny house cabins will be available for rent by July 4th. 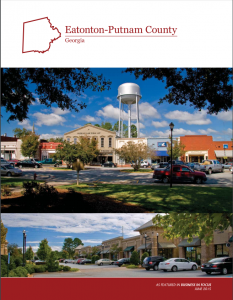 On January 21, at approximately 1:30 p.m., a tornado ravaged Putnam County’s beloved Oconee Springs Park. Though no one was injured during the storm, the twister launched a rental cabin into Lake Sinclair and damaged three others, ripped the roof from the picnic pavilion, destroyed the beachside play­ground and several trailer decks, and totaled two guests’ travelers. 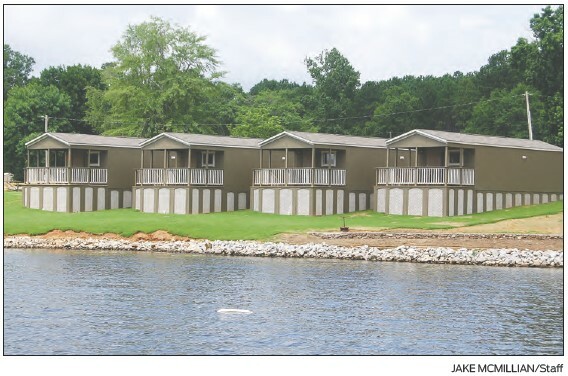 Since that horrific day, Oconee Springs Park has been progressively rebuilt, and an open house occurred on June 24-25 in which visitors could rent paddleboards, paddleboats and kayaks free of charge and could inspect one of four new Legacy cabins. Built in the 1960’s, Oconee Springs Park on Lake Sinclair has been the place where families held their weddings, birthday parties, baptismal services, and family reunions. According to OSP manager Lonnie Campbell, the four new cabins should be available for rent by July 4. Since January 21, new fencing has also been installed as well as a new beachside playground. The beach has been remodeled, now encompassing nearly double its original size. Future renovations are in store, including landscaping projects and plans for a new picnic pavilion. Two young children take a break from the beach to enjoy Oconee Springs Park’s new beachside playground at the park’s open house.